Service Saturdays! run from 8 a.m. – noon and begin with coffee and pastries. Service Saturday! provides an excellent opportunity for A Little Help members to receive assistance with various home maintenance jobs, such as inspecting handrails, cleaning cupboards and refrigerators, de-cluttering closets, washing windows, dusting cobwebs, touching up paint, polishing furniture and floors, cleaning rugs, organizing paperwork, and just overall yard work. -We split into groups of 6-10 individuals, each group will designate a team leader. 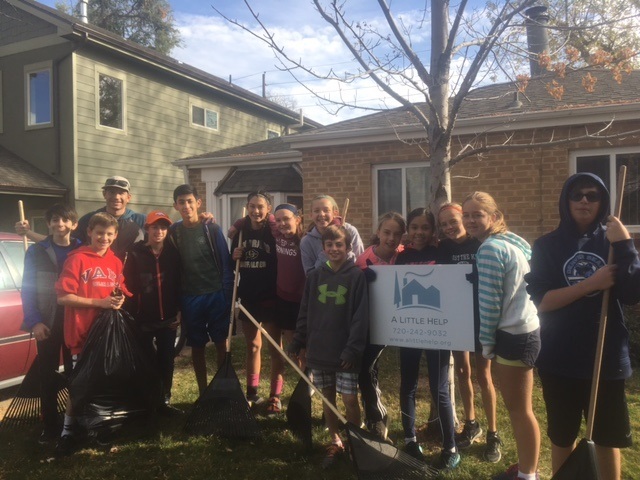 -Most if not all jobs will include raking leaves and the leaves will need to be transported by you or someone in your group from the home to drop off locations that we will provide to you in the morning. -Wear clothes that are comfortable and can get dirty. -Please plan to join us at check-in rain or shine we will get done whatever we can given all weather conditions. -Groups can or will have to carpool from Edora Park to the homes we will be helping. NO children or teens should be dropped off without prior transportation arrangements. -Most teams will be going to 1-2 homes and work should be completed by noon. If you haven’t already, please check us out and follow us on Facebook, Twitter, and Instagram.